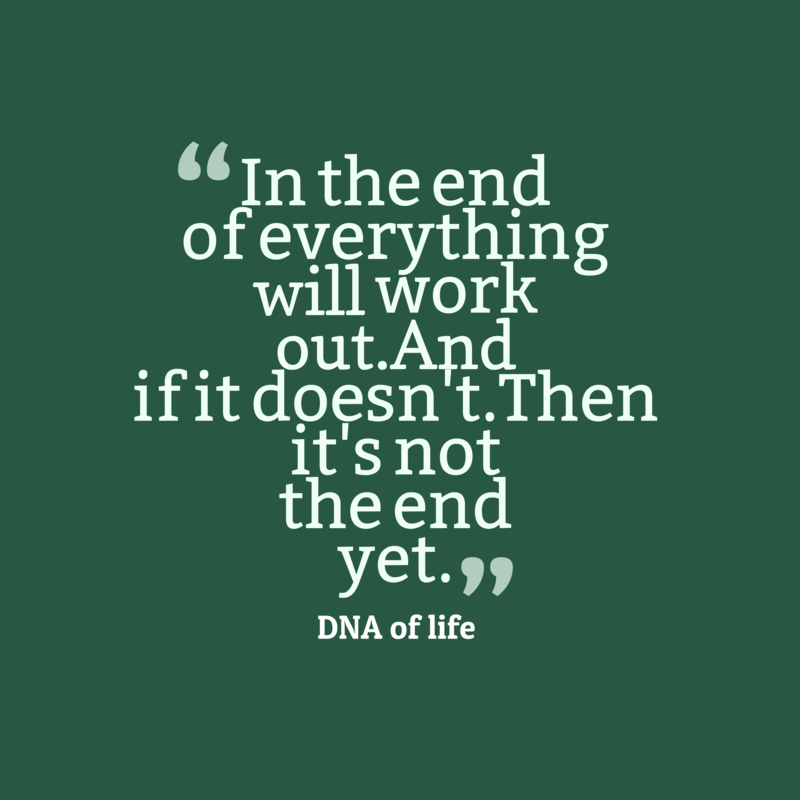 DNA of life quote about work. In the end of everything will work out. And if it doesn't. Then it's not the end yet.